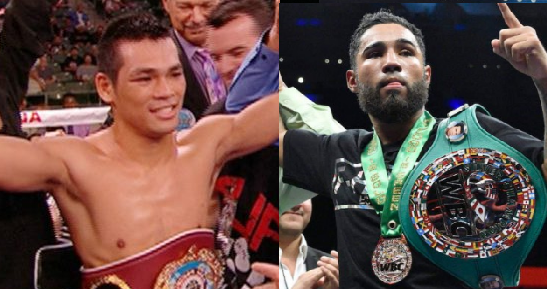 Filipino former IBF World Super Flyweight Title challenger Arthur Villanueva will face the undefeated hard-hitting Luis Nery on November 4, 2017, for a 10 round non-title fight at the Gasmart Stadium in Tijuana. Villanueva is a 28 years old boxer and has a record of 31W(17KO)-2L. Villanueva is a two-time world title challenger, he fought McJoe Arroyo in 2015 for the vacant IBF World Super Flyweight Title but lost via controversial technical decision. Villanueva also fought Zolani Tete for interim WBO World Bantamweight Title but also lost via unanimous decision last April 2017. However, Villanueva is coming back with a win in his last fight against Richie Mepranum last September via RTD in the 4th. Meanwhile, his opponent Luis Nery is supposedly the WBC World Bantamweight champion after beating Shinsuke Yamanaka via 4th round KO in Japan but was nullified due that Nery failed a post-fight drug test. Neri has a record of 24 wins including 18 big victories by way of KO with no defeats. Neri Currently ranked no. 1 in the world while Arthur Villanueva is ranked no. 23rd.